This is a Modified Bitumen roof is just under 9,000 sq’ and is located in Arlington, TX. The roof had 1 known active leak prior to us performing an inspection. The construction of this roof is comprised of roof insulation, roof board, a base sheet and cap sheet. This roof is getting older, but I was not advised the actual age of the system. This property was recently inherited and came fully leased. A few of the tenants had been experiencing problems with persistent leaks and the owners were concerned about the possible expense of a full replacement solution on the roof system. 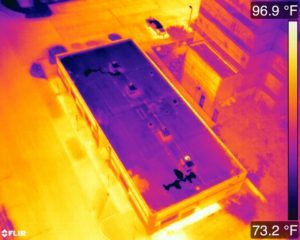 We were asked to come in and provide a thermal roof scan to help determine where the leaks were, how bad the moisture in the roof was, and help them determine if repair or replacement was the best fit for this situation. We were able to locate 1 area the looked highly suspect of moisture and 1 location that gave us a unique thermal pattern. We advised the roofing company to core sample both locations to confirm the presence of moisture. The larger area on the bottom corner of this image came back positive while the second area between both HVAC units didn’t reveal any major issues. For this situation, we were able to provide the client with a more basic report since the roof was pretty small. This passed a substantial cost savings down to the client and still provided the information needed to do further core studies on the roof. 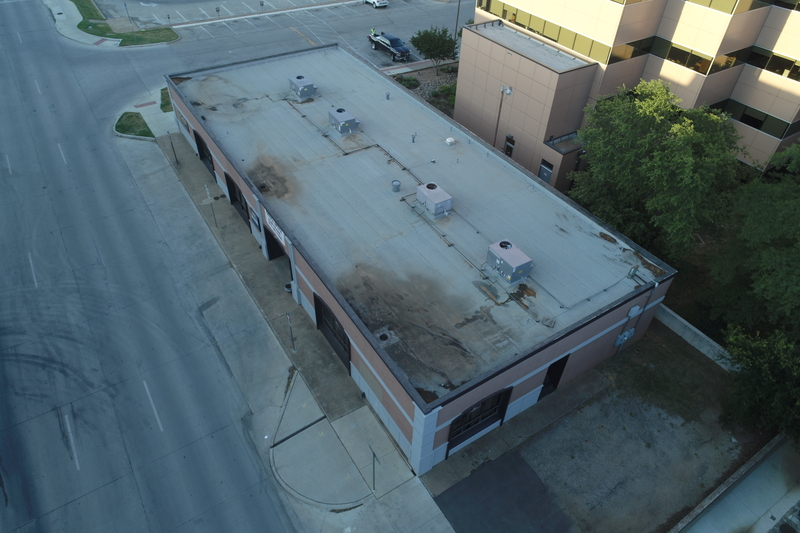 This roof ended up being a great candidate for a repair rather than replacement, saving the owner thousands of dollars by not performing work that really was not necessary at this time. While we do charge a fee for our service, many property owners are finding the cost savings for what we provide to be well worth the cost. 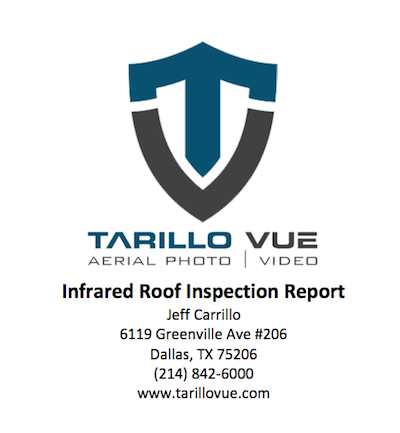 To learn more about our inspection process and how it can help you make an educated decision on your roof concerns, give us a call today at (214) 842-6000!